We offer the option to sign in to PocketSmith using your Google account to make signing into PocketSmith even easier. 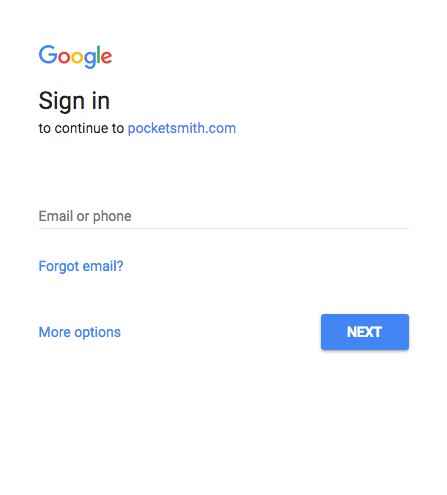 If you have a Google account you have the option to use this to sign in to your PocketSmith account. Find out how to link your existing PocketSmith account to your Google login, or - if you don't yet have a PocketSmith account - how you can use your Google account to create one! If you currently have a PocketSmith account, you can easily link your Google Account to it to enable one-click sign-in. Your account will now allow one-click sign-in using your Google account! As you do not yet have a PocketSmith account with the email address used, you'll be taken to create a new account. 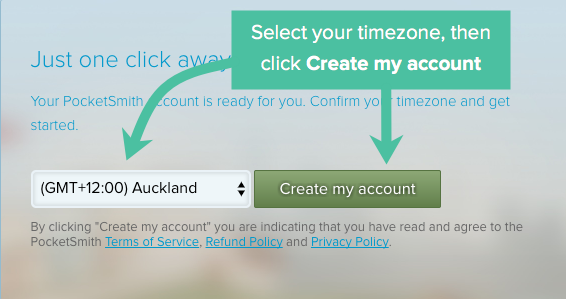 Select your timezone and click Create my account to get started! An account will be created for you on the Free plan. If you'd like to upgrade to a paid plan check out Your PocketSmith subscription for detail on how to do this! If you created your PocketSmith account using your Google account, you may also want to add a standard password to your PocketSmith account. 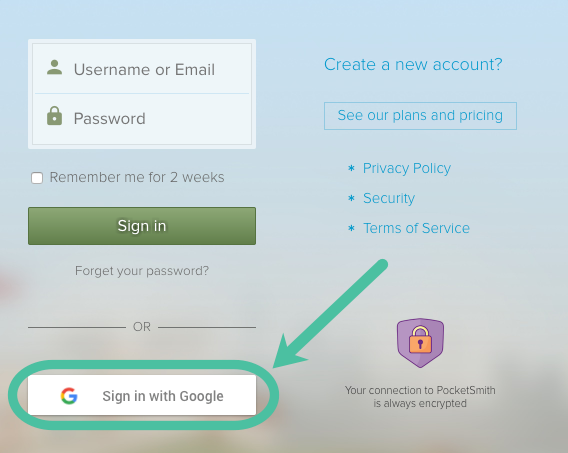 This would mean that you can log into PocketSmith with your email address/username and created password, or through the Google sign-in process. This is also a required step if you'd like to set up two-factor authentication. Head to the password reset page, enter your email address and click Email me! Can I still sign in with my PocketSmith username/email and password? 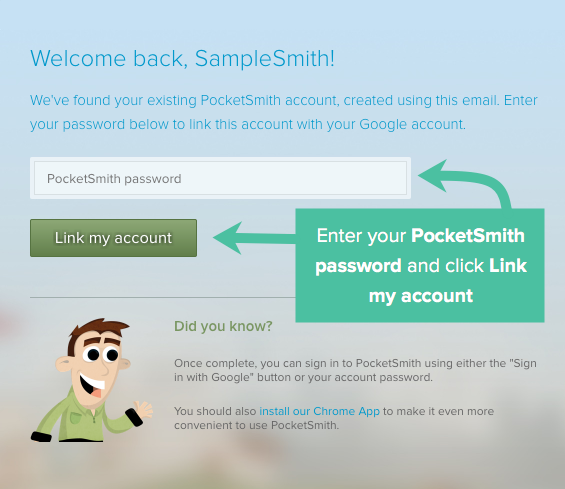 Can I use my Google login if I used a different email address to sign up to PocketSmith? If you would like to use a Google login that is different to the email address you signed up to PocketSmith with, you'll first need to change the email address associated with your PocketSmith account to be the same as the one used for your Google account.